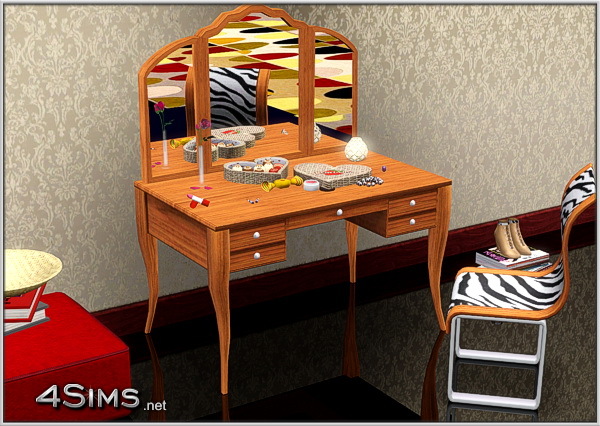 A romantic elegant Makeup Vanity and a wavy modern chair, designed to bring happiness in your Sims houses. 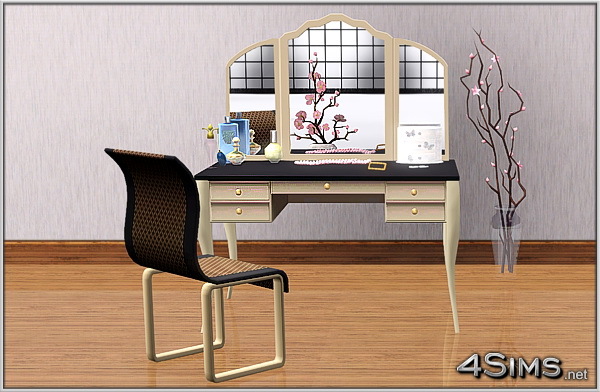 Both of them fully functional: dresser and mirror for vanity and chair for dining, living, patio….. 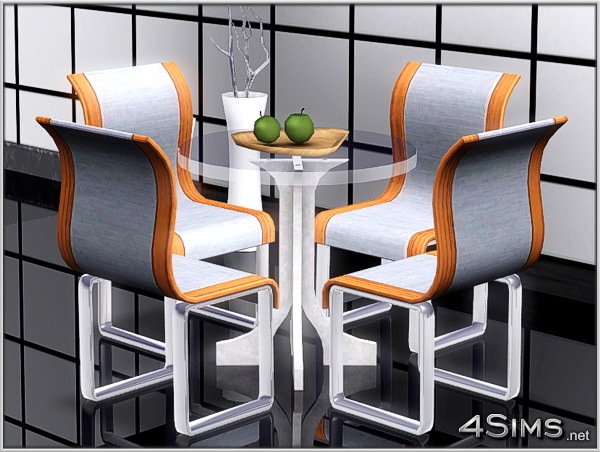 In this set, the chair has only aesthetic purpose (Sims can’t sit and use it in the same time). You need Supernatural installed. Recolorable, 3 versions for each. Hello, I love your work, I can tell it was a labor of love. The attention to the smallest detail is really seen. I want everthing you have but navigating on your site is very confusing . When I went to the bedroom section it kept giving me the vanities, that i had already downloaded. Please fix, your work is beautiful and it is a shame we can’t get it. Thank you so much for feedback, really appreciated! About navigation, the vanities are included and subcategory in Bedroom category, that’s why you can find them under both labels. The confusion is maybe because the menu isn’t visual hierarchically structured and I will try to fix this.